Thank you very much for your help - it’s cleared things up. I’ll reach out to the Cloudready guys and see if they’re able to package both the 32-Bit and 64-Bit BIOS files in the same distro - will make things a lot easier for everyone I reckon! I have Acer Switch 3 and would like to install Antergos beside Windows. I can boot into Antergos live and also wifi works out of the box. Do I need to install grub somewhere (root partition)? @dona do you read all about the acer switch 3 problem here? is to create a bootable rEFInd USB drive and another bootable USB (normal installation USB) of whatever Linux distro you want to use. Then booting up on the rEFInd USB will allow you to start the Linux installation. This post 379352 on the kubuntu forum gives details. Note you can use any good app for burning the USB drives (I prefer Etcher which works on both Linux and Windows). In that post see the section starting with “Where to get it and how to do it”. If I remember correctly I just used Etcher to burn the .img file to the USB and did not use ‘dd’. i had the chance to test the installation of antergos on the Acer Switch 3. I did not an installation beside Windows 10. But this is for my guide not important. 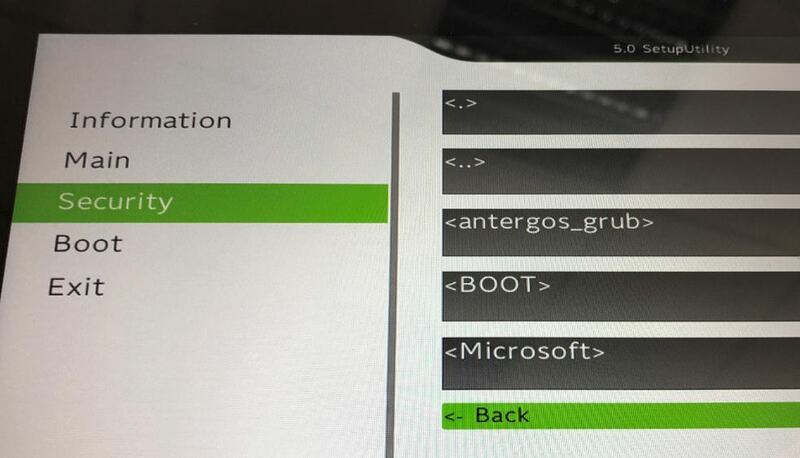 Please see the installation guide for antergos dualboot, if your nor sure how to partitonate the MMC. Press the F2 key after switching on to enter the UEFI. Select the MAIN menu item. F12 Boot Menu from Disabled to Enabled. Touchpad from Advanced to Basic. Switch to the Security menu tab. 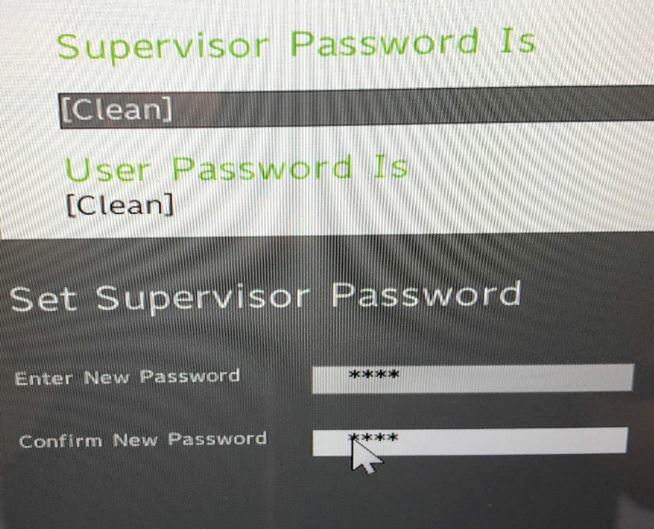 Select Set Supervisor Password and set it. Switch back to the Boot menu and change the entry Secure Boot from Enabled to Disabled. To save that press the F10 key and confirm with Yes. Now press F12 key to enter the boot menu. As soon as the boot menu is displayed, select your USB stick. Now do the installation of antegos with GRUB2. After the installation is complete, please restart and enter UEFI again. Now switch to the menu tab Boot and change back the entry Secure Boot from Disabled to Enabled. Now select the item Select an UEFI file as trusted for executing. 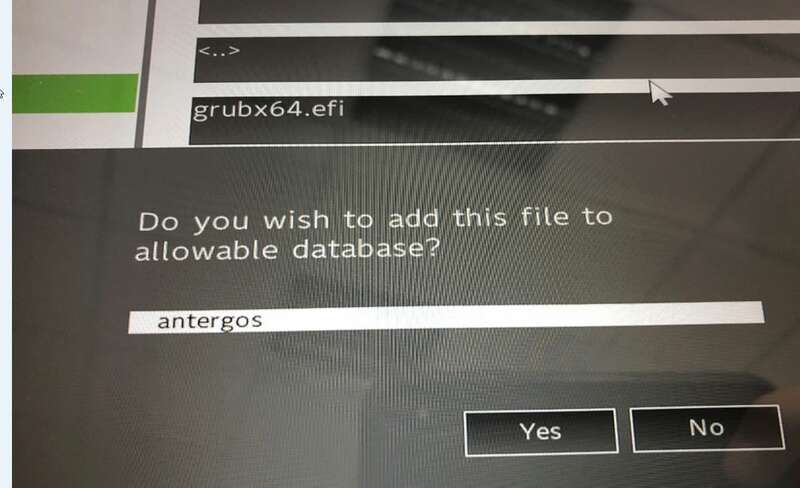 Select the bootloader grubx64.efi loaceted in antergos_grub and press Enter. You must now specify the bootloader name for the boot menu. Now save this setting by pressing the F10 key and confirm the selection dialog with Yes.